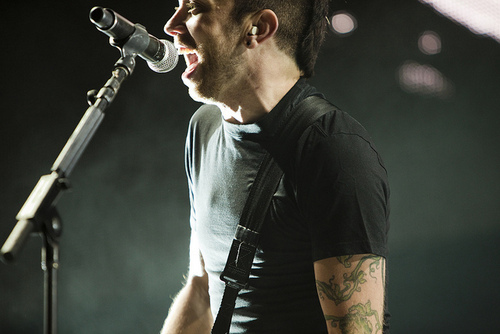 Tim ^_________^. . Wallpaper and background images in the Rise Against club tagged: tim mcilrath. This Rise Against photo contains concert, guitariste, and joueur de guitare.